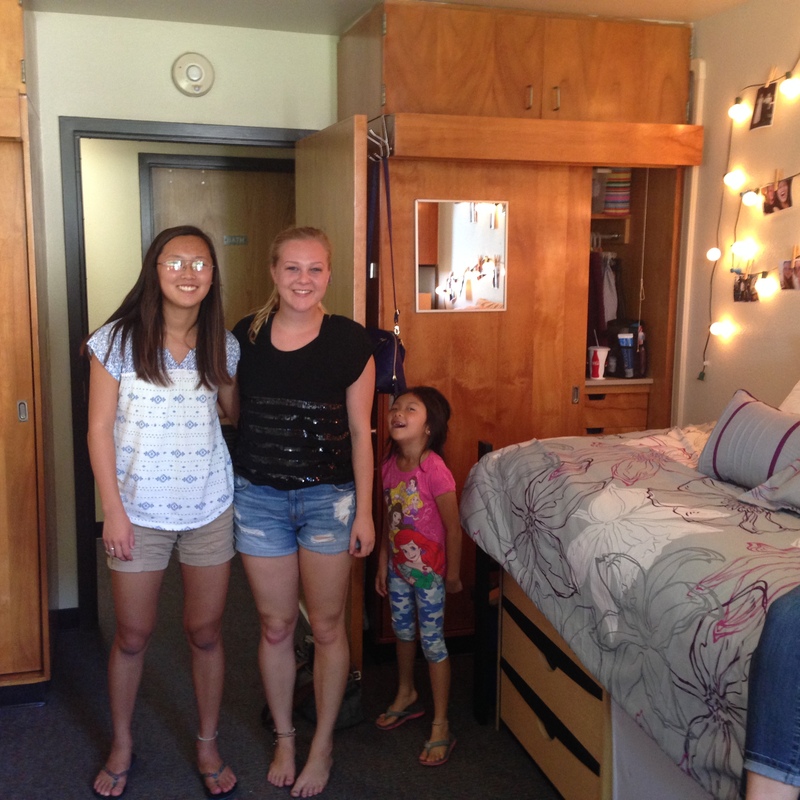 Claire Guite, our 2015 Carol Phan College Scholarship recipient, sent in this blog entry talking about her first few weeks at Cal State Long Beach! When I entered for this scholarship, I thought for sure I wasn’t going to win because my entry was so “out there,” I guess you could say. I have always had a passion for creativity through artwork, so I sent a link of my online portfolio of some of the artwork I’ve done in the past few years as my application. When the text came to my phone notifying me that I had won, I was absolutely ecstatic, shocked, and grateful all at the same time. The money covered the cost of my Macbook Pro, the computer I am currently using for college. Without the scholarship, I wouldn’t have been able to get such a nice computer to take with me to college, and for that I am extremely grateful! Fast-forwarding a few months, I am now about four weeks into my college experience here at Cal State Long Beach, and it has been quite a change of pace. Being about six to seven hours from home, I’ve realized how many things I actually miss about Tracy that I thought I never would. My whole life has been uprooted and replanted here in Long Beach. I appreciate even more the friends, family, and church family that I have in Tracy and how they have influenced me in such a positive way that I could never fully explain. Even four weeks in, I still feel like I’m not settled in yet, although it seems to be a dream to be studying Fashion Design in Long Beach. Here is a picture of me and my roomie, Pearl. All complaining aside, I am thoroughly enjoying my classes and professors, and have already learned so much in such little time. Learning about fashion, the fashion industry, sewing, and the technicalities of fashion sketching confirm just how much I want to do this for the rest of my life. There are three main questions I’ve learned that everyone here asks someone they don’t know. The first is: “What’s your name?” The second: “What year are you?” And the third: “What’s your major?” Although I’ve been asked this about 1,000 times, it’s so cool to see what other people are studying and have passions for. I am starting to get connected with clubs as well as Christian community, and have started to make some new friends. 🙂 In such a huge school, it’s important to me to be able to have friends that share the same beliefs. I can say that there is still so much for me to learn and get involved in, and it’s so exciting to think about. The “college experience” is certainly a thing like no other, and I’m sure it will continue to surprise me in ways living in Tracy, CA never could! Watch the FINAL "Avengers: Endgame" Teaser Trailer. OMG!